Lamon sheep are an Alpine breed, raised for meat. They large and polled with lop-ears and yellow-white wool. Sometimes, rarely, their face and legs are speckled brown or black. Their tail is thin and hangs below the hocks. Horns are absent. 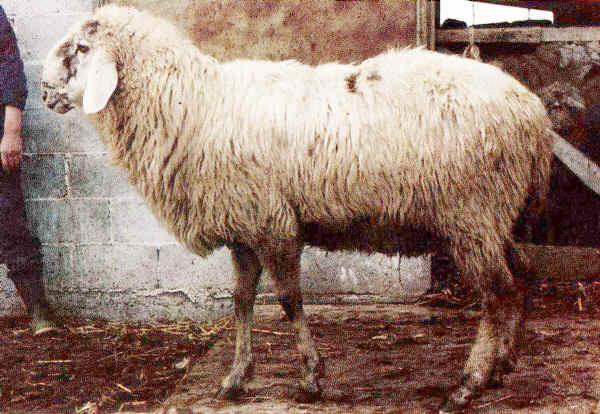 Lamon sheep are one of the few Italian breeds that migrate throughout the year. In the past most Lamon sheep flock migrated every year, but today, most are not migratory. Traditionally Lamon sheep were registration in the town of Lamon in the Belluno Province or northern Italy. They are also found in the Trentino-Alto Adige region.